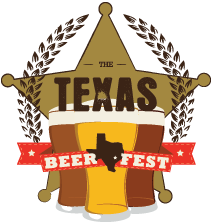 This is the second year for the Texas Beer Fest which was held last year at the Humble Civic Center Arena (read a recap of the festival here). About 1,500 attended the innaugural event, but many who didn't said it was because it was too far away (it was near the George Bush Intercontinental Airport people, not halfway to Dallas). Well, to appease those complaints, this year the festival is being held at Discovery Green in downtown Houston. Further details about participating breweries, food vendors, etc will be released in the coming weeks, but circle the date on your calendar or go ahead and buy your tickets now (and take advantage of discounted prices). The location couldn't be better and the weather should still be great for an outdoor event. If you want to have even more fun, offer to be a volunteer. Its a great way to meet people and become more involved in the craft beer community. A pre-party is also taking place on Saturday, February 4th at 7:00pm at the Ginger Man. Special Texas beers will be on tap, live music from Brandon Mathews Band with special guest Brant Lee Croucher, food trucks and more. Just to let you know, Brent Lee can't make it. But there will be some AMAZING cask beer!